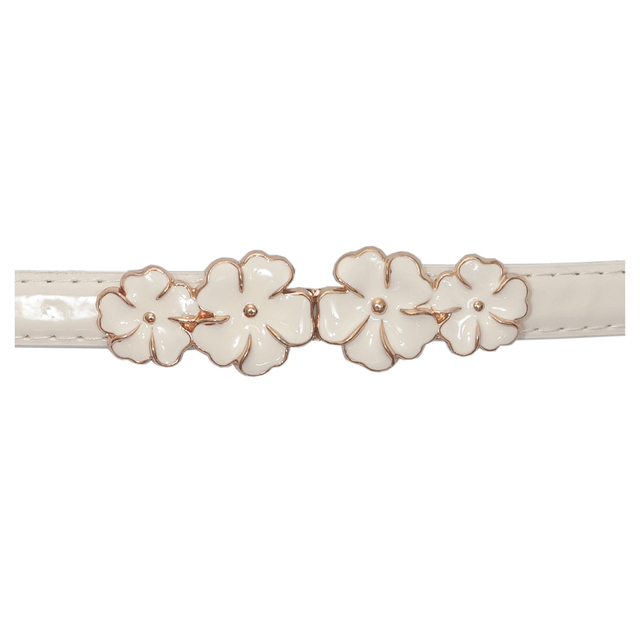 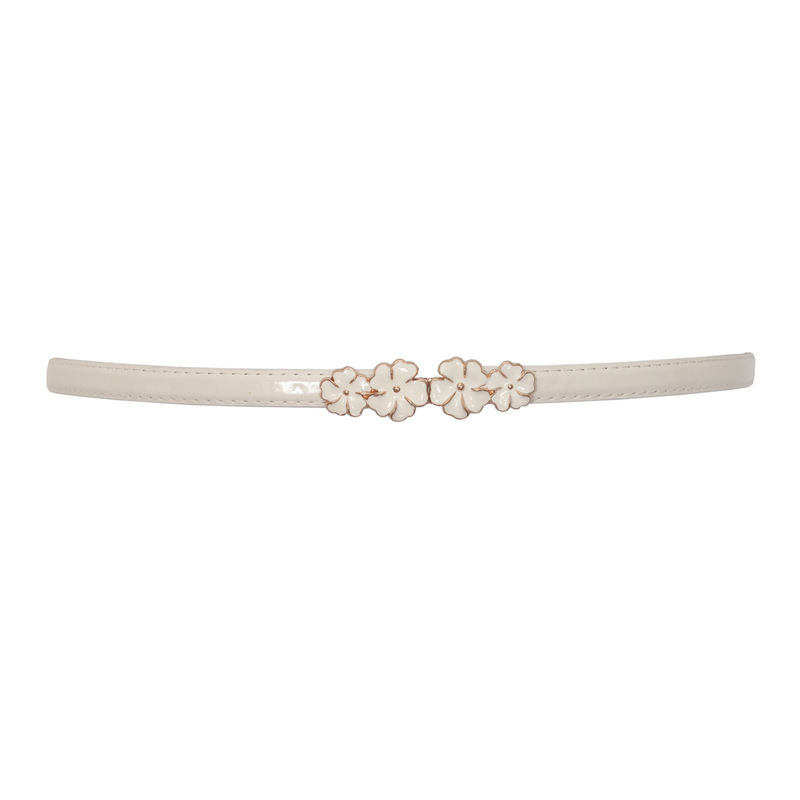 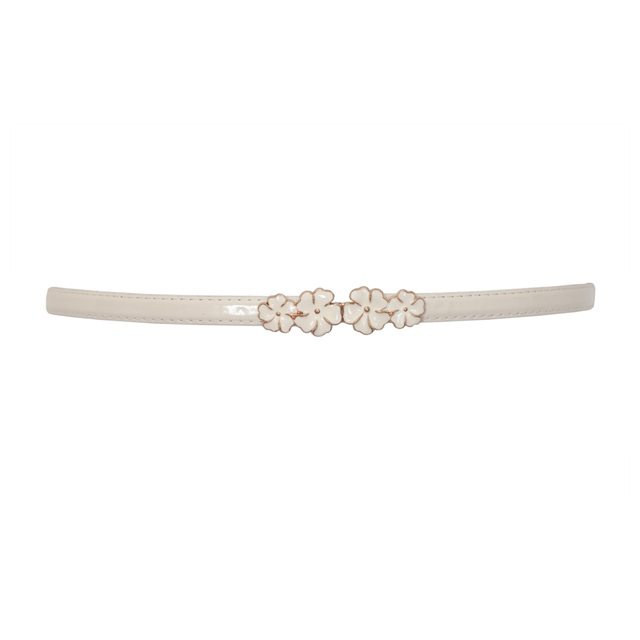 Plus size belt features Flower buckle detail. Patent leather. Measures 0.5 inches width. 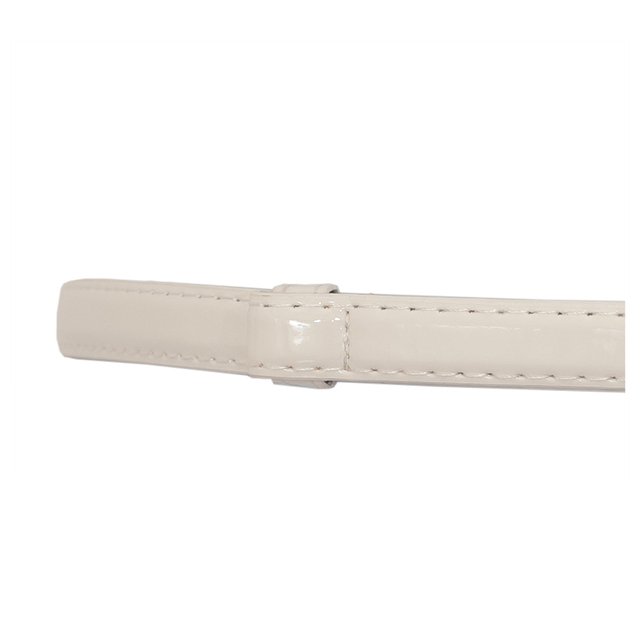 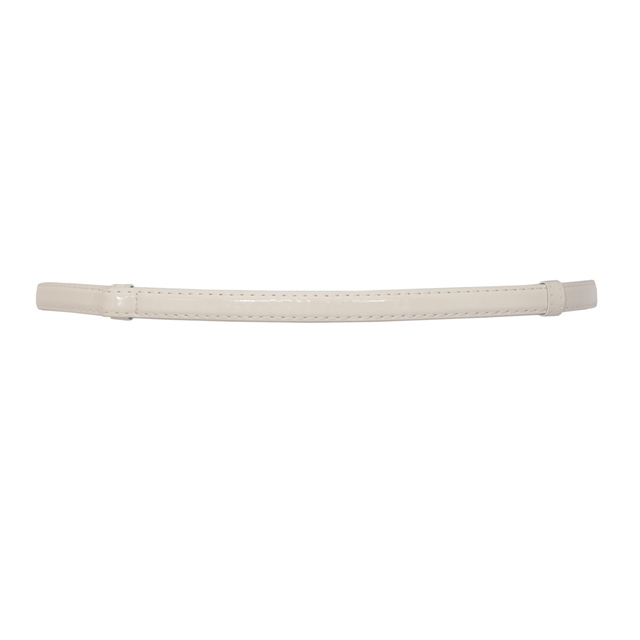 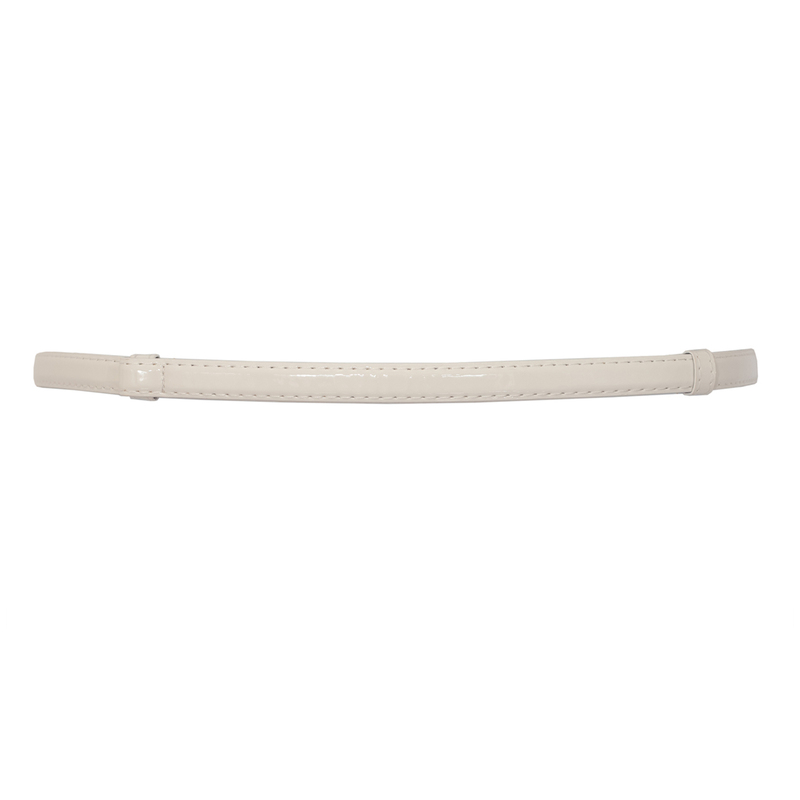 Length of the belt is adjustable and measures 27 to 44 inches.